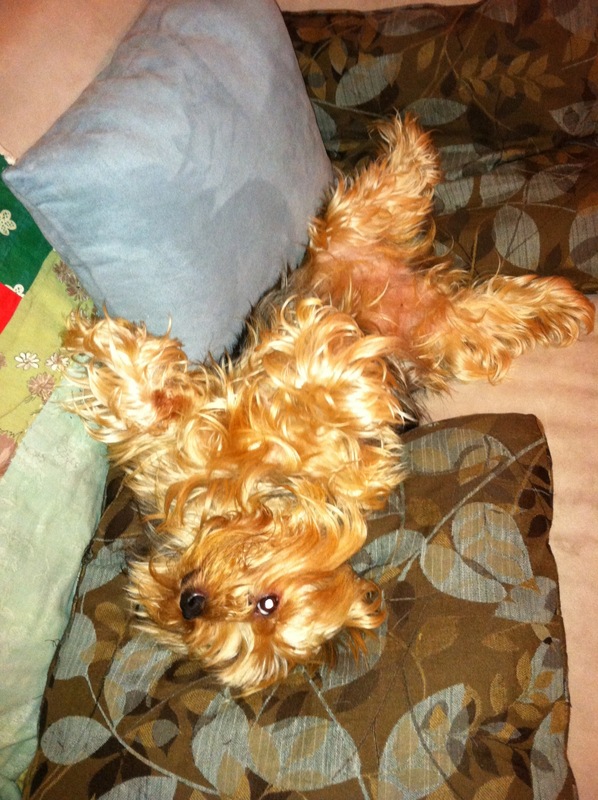 Last night our yorkie, Mother Maybelle escaped from the house out into the front yard. This is bad. This is very, very bad. That dog is a complete freak once she feels the freedom of a fenceless piece of terra firma! I broke into a gallop over the thresh hold of the front door! Leaping like a gazelle out onto the manicured front lawn I went, sporting my round toed kitten heel pumps. I hollered like a maniac at that dog. MAYBELLE! MAYYYYYYYYYYYBELLE! Get over here you stupid lard! She ran west to the Downs’ yard. She ran east to the Phipps’ yard. She ran even further east into the yard of the lovely family I have not gone down to meet as of yet. Finally in desperation, I stopped amidst the clover of my neighbors yards, and took of my shoe. YES. You heard me. (Dang dog!) Still trying to yell her into submission and shame unsuccessfully, I hurled my shoe in her general direction. (Don’t worry. I am a horrible pitcher.) She did, however stop and run over to see what I had thrown. I a-l-m-o-s-t got her before she escaped my grasp again. I flung the other shoe! I did this four times, and the dumb dog ran back to see what I’d thrown for her all four times. Fourth time, I finally got a good enough hold on her. All three of them had horrified looks on their faces. They looked afraid. They looked very afraid. Oh well. I guess I’ll be “that crazy dog snatchin’ lady” now to all the little children in our cove. Could be worse, I guess. Hhhhhhhhh! Dang dog! did ya think i forgot about my blog?